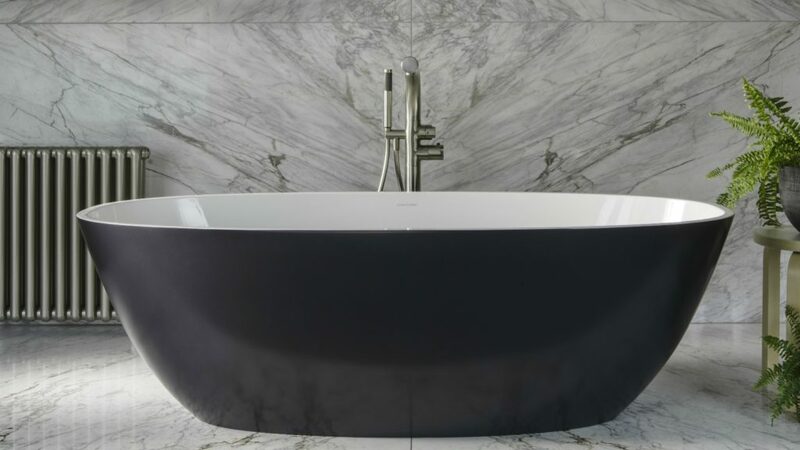 Adding to its Barcelona model, Victoria+Albert launches compact tubs - Barcelona 2 and Barcelona 3. Bathing brand Victoria+Albert has launched two compact models of its Barcelona tub, with Barcelona 2 and Barcelona 3. Made from volcanic limestone – Quarrycast – Barcelona 2 measures 1700 x 800mm and has a height of 540mm. whereas Barcelona 3 measures 1792 x 865mm and has a height of 552mm. Quarrycast is reportedly scratch and stain resistant, plus is claimed to have insulating properties to keep the water warmer for longer. Both models feature a void beneath the tub for plumbing, which means there is reduced need to disturb the flooring when fitting a waste. The bathtubs can be co-ordinated with the Barcelona 48, Barcelona 55 or Barcelona 64 freestanding basins and are available in seven exterior finishes. Alike all bath tubs available from Victoria + Albert, Barcelona 2 and Barcelona are both guaranteed for 25 years. Victoria+Albert has recently introduced a compact undermount basin – Kaali 46 – to its sanitaryware offer.